Just because you don’t have the flu doesn’t mean that your aren’t teeming with viruses inside and out. But what are all these viruses doing, if they aren’t making you sick? 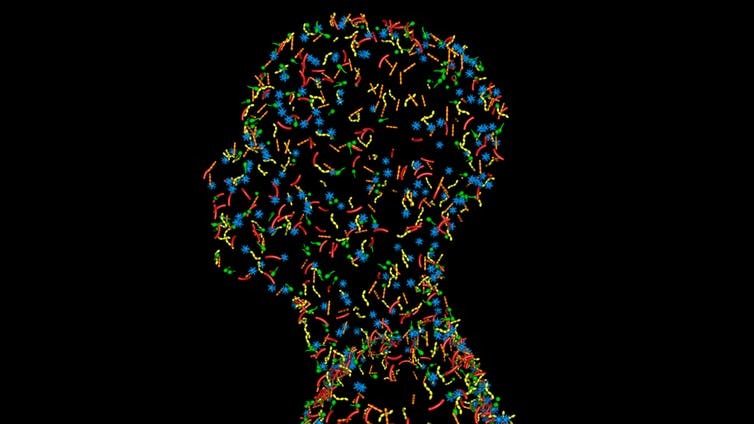 Every surface of our body – inside and out – is covered in microorganisms: bacteria, viruses, fungi and many other microscopic life forms. Image via vrx/Shutterstock.com. 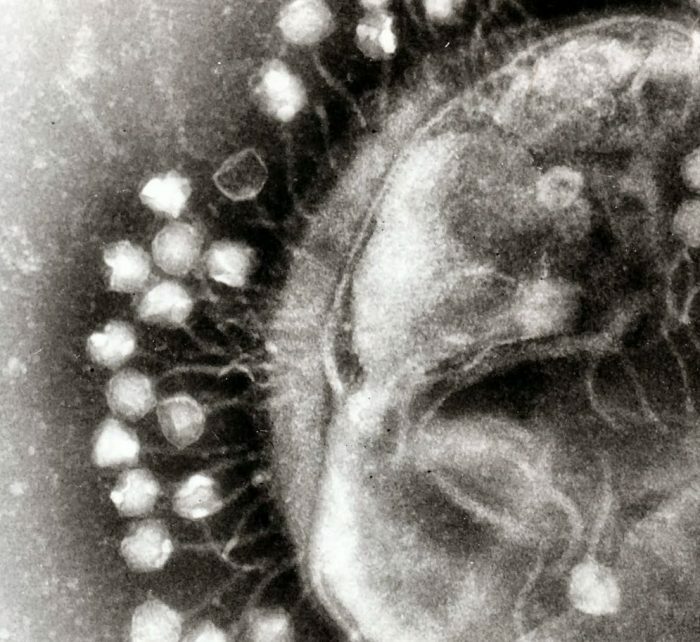 Transmission electron micrograph of multiple bacteriophages – viruses that infect bacteria – attached to a bacterial cell wall. Image via Graham Beards. 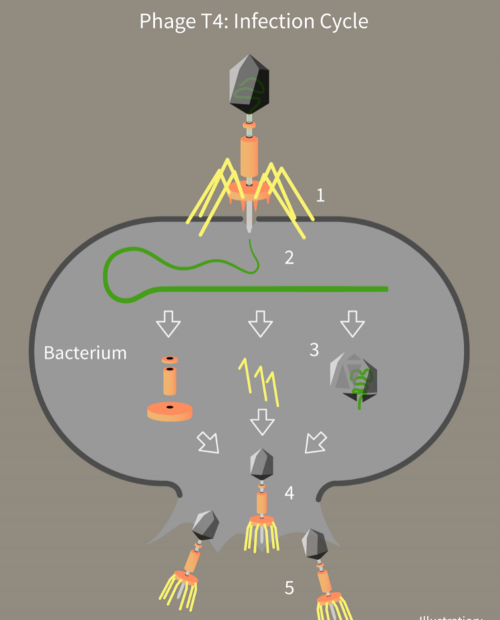 A virus called a bacteriophage infects bacteria and inserts its genetic material into the cell. 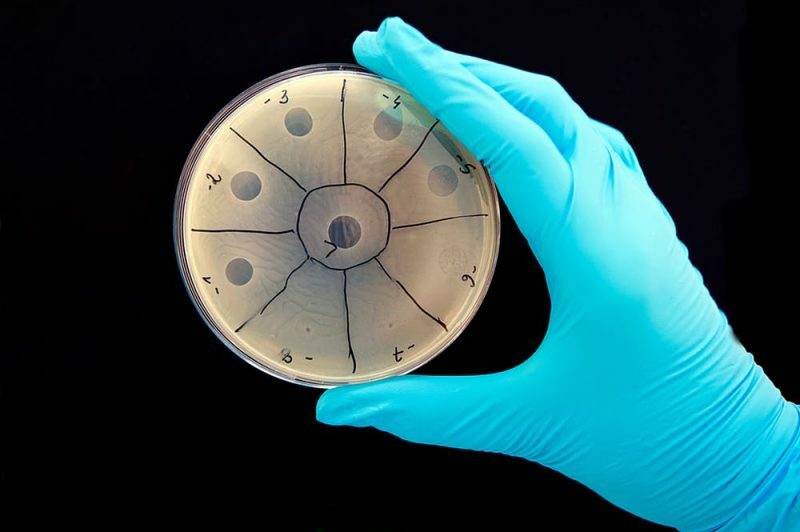 The bacterium “reads” the genetic instructions and manufactures more viruses which destroy the bacterium when they exit the cell. 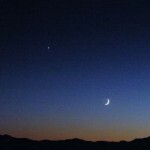 Image via Guido4. Viruses destroy the bacterium when they burst out of the cell. Here, the clear circles reveal where the bacteriophages have killed the bacteria. Image via Guido4/Shutterstock.com. Bottom line: Your virome is made up of trillions of viruses.